If you’re selling a home in Gig Harbor, then you’re probably doing everything you can to get it off the market as quickly as possible. You’ve staged every room of your home perfectly, and you’ve been quick to respond to questions from buyers and agents. If you want to maximize your chances of creating a love-at-first-sight moment between your home and a buyer, then curb appeal should be at the top of your priority list. We gave you several tips for increasing your home’s curb appeal in a previous post, and in today’s post, we’ll continue to provide you with even more ways to take your home’s appearance to the next level. Team Aro is proud to be Gig Harbor’s premier real estate resource. Whether you’re buying or selling a house in Gig Harbor, our experienced Realtors® are here to help you through every step of the process. 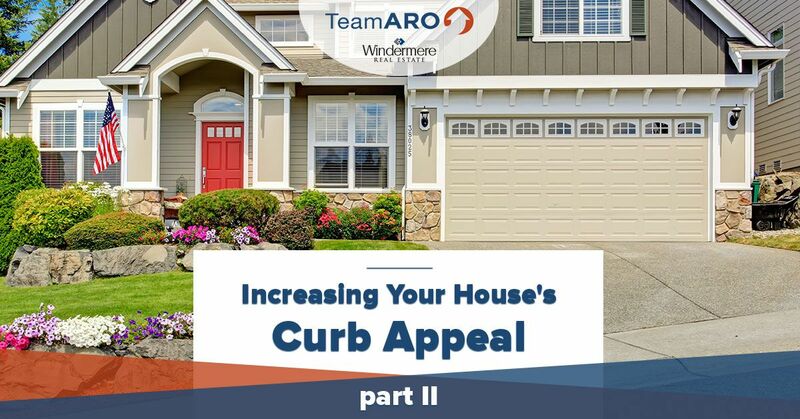 Contact a member of the team today to get started, and continue reading below for even more tips for increasing your home’s curb appeal. We’ve all experienced the frustration of trying to find a home that has barely visible numbers, and this problem is made significantly more frustrating when it gets dark. As we mentioned in our previous post, you may be showing your home in the evenings due to a busy work schedule during the day, and the last thing you want is to have potential buyers frustrated before they even walk in the door. Make sure that your home’s numbers have been cleaned and are in a visible location for daytime visitors, and try to see if you can find them yourself when visibility is low. If you can’t locate your home’s numbers easily from the street, then you may want to add additional lighting to the front of your home. If your home is older, then it’s likely that your driveway and other areas around your home have become cracked and weathered. While moss-covered cracks and overgrown shrubs can certainly create a natural and fairytale-like landscape, potential buyers will probably be thinking about how much work it will take to clean up the landscape. You can purchase cheap crack fillers from nearly any home improvement store, and if your driveway is in particularly bad shape, then you may want to consider investing in an entirely new driveway. Doing so will take more time than patching up small defects, but you will likely be able to list your home at a higher price. It’s almost a universal truth that nobody enjoys maintaining their gutters. With everything there is to do here in Gig Harbor, spending a day at the top of a ladder is probably the last thing on your to-do list. 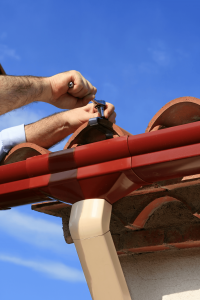 If your current gutters are clogged, chipped, or rusting, then you should think about replacing your gutter system with a new one. You can do the installation yourself or call a professional for help, but just make sure that the new system is both aesthetically pleasing and functional. We receive quite a bit of rain here in Gig Harbor, making the importance of properly functioning gutters even more important. Stay tuned for even more posts containing information for increasing your home’s curb appeal. If you’re looking for Realtors® in Gig Harbor, then contact Team Aro today for more information! Whether you’re buying or selling a house, we’re here to make the entire process as easy as possible. We look forward to speaking with you soon!